Ongoing trials attempting to find the cure for blindness are being carried out by surgeons in London. Groundbreaking human embryonic stem research has lead to an operation being performed on an anonymous 60 year old woman with Age Related Macular Degeneration (AMD) at Moorfields Eye Hospital. The London Project to Cure Blindness created a carpet of stem cells to be implanted into the eye of the woman. The stem cells can be grown into any cell and have been designed to be retinal pigment epithelium and were donated from an early embryo. 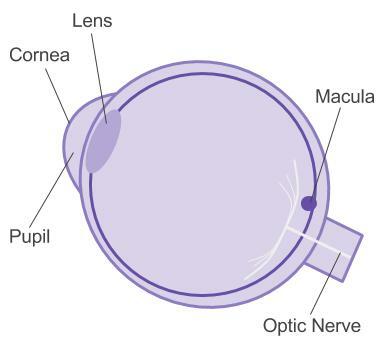 The retinal pigment epithelium is a layer of cells outside the retina that nourishes visual cells and supports them to enable us to see colours and images in our central vision. AMD is a painless eye condition that leads to loss of central vision, usually in both eyes. Scientists have established that restoring the retinal pigment epithelium could revert the damage caused by AMD. AMD does not however affect peripheral vision so complete blindness does not occur but with the loss of central vision, AMD does cause difficulty reading and recognising people’s faces and this can all occur quickly or gradually over time. The precise cause of AMD is unknown but factors such as your age, gender (more women than men develop the condition, possibly because they tend to live longer), smoking, high levels of sunlight and your diet are all considered to increase your chance of developing AMD. Symptoms of the condition include the inability to see detail and grey smudges appearing in your line of sight. AMD is closely linked with age and family history of the condition, however you can reduce the risk by stopping smoking, eating a healthy balanced diet, moderating the consumption of alcohol and wearing UV-absorbing glasses. The two main types of AMD are wet and dry. 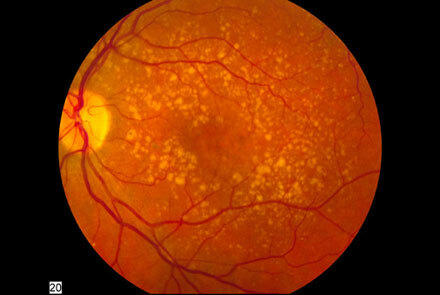 The dry type is more common, affecting 90% of people suffering with AMD. Researchers hope the carpet of cells can be used to treat both types but so far, it has only been tested in patients with wet AMD. The revolutionary surgery to treat AMD involves the carpet of stem cells being rolled up and injected into the eye. Once the carpet of cells unrolls, they will restore the damaged cells that are affecting the central vision. It will not be evident until at least Christmas, the extent to which the surgery on the 60 year old woman has been a success. Trials on animals have seemingly been successful, and ten more human patients will soon receive the procedure with their progress being closely monitored. This stem cell treatment is still in an experimental stage with hopes that it will one day be a common treatment for AMD there is no cure. If you are concerned about your vision or think you may have Age-Related Macular Degeneration, please get in touch to book an appointment with one of our optometrists.